Princess dreams inspire the designs of Paloma Blanca ball gown wedding dresses. Your wedding day is one of the rarest opportunities where you can wear such a grand gown and we don’t take this lightly. It’s no coincidence that every princess you’ve ever read about our seen in a Disney movie all were married in beautiful ball gown wedding dresses. We love the super femininity and fantasy of the silhouette that instantly makes a bride feel gorgeous while flattering her unique shape in all the right places. 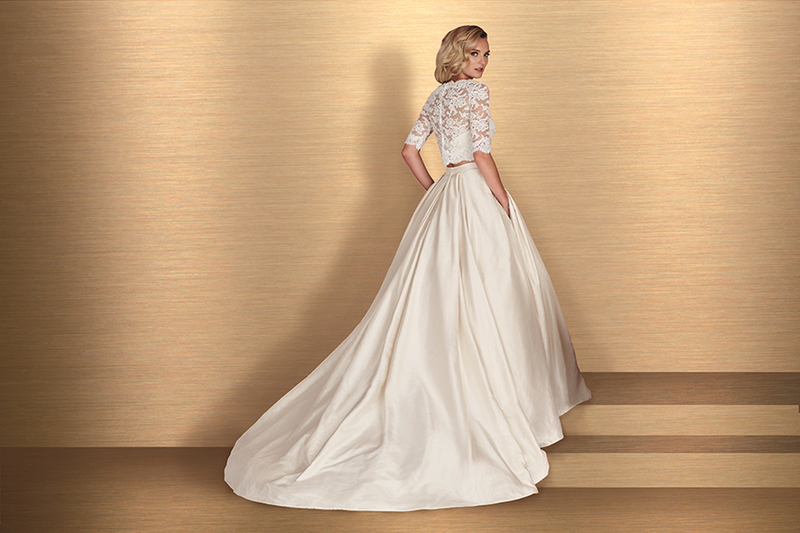 Fitted throughout the bodice and flowing into a grand skirt, Paloma Blanca ball gowns will turn heads with dainty feminine embroideries, timeless style, sumptuous fabrics and lace details that will make hearts pitter patter. Choose from materials like tulle and satin that lend an opulent touch to any wedding dress and move gracefully down the aisle while also mesmerizing admirers on the dance floor. 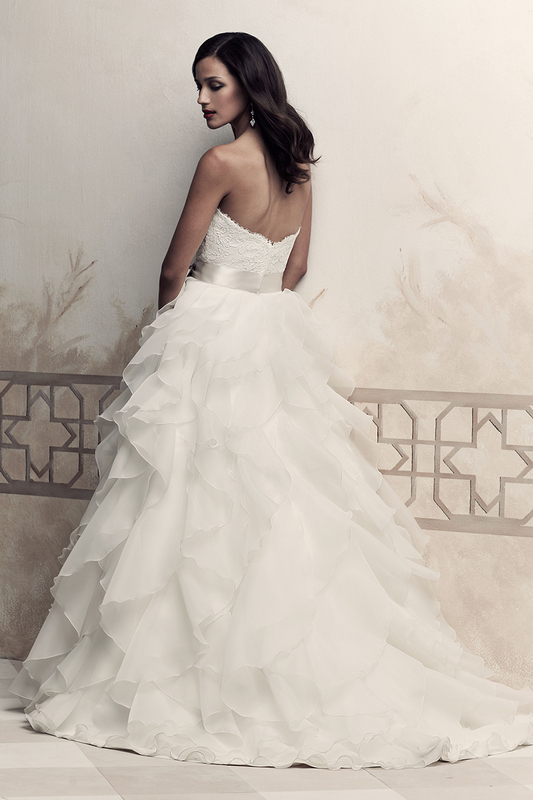 Paloma Blanca wedding dresses are 100% made in Canadian with super quality and our most important ingredient – love! With a renowned reputation for designing ball gowns, we concentrate on every stitch from the innovative design and detail to the superior fit. Featuring our top 10 ball gown wedding dresses, we offer essential tips when choosing this silhouette. Ball gown wedding dresses play up imperfections. With this in mind, this silhouette will create the illusion of curves and disguise the fullness of hips. If you are smaller chested, it is also a great selection as the shape will balance out the hips and create an hourglass shape. 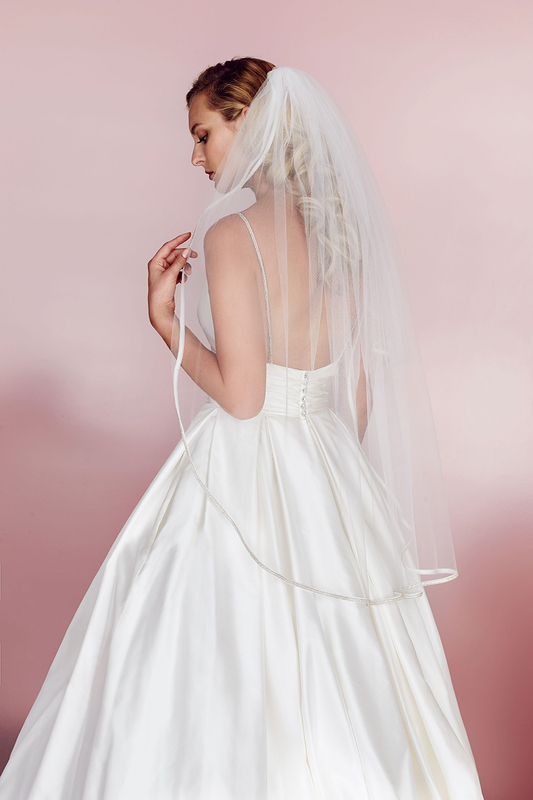 The best length for a ball gown and true princess vibe is an elbow length veil, approximately 25” long. They look fantastic with most every ball gown and won’t compete with the bell shape of the silhouette. Because they end where the fullness of the skirt begins, there isn’t too much fabric to flow behind the bride. Also, a shoulder length veil measuring 18”-20” is also a good choice for a bride looking for a sassier or more modern bridal style. Our simple rule of thumb is pearl and platinum for pure white and gold with ivory. It’s best to avoid gold since the embellishments of the gown will clash along with the starkness of white. While the creamy tint of ivory compliments gold. Always take into consideration the embellishments of the gown and the neckline. To make dancing and moving around easier after your ceremony, request a bustle during alterations. This will bring your train up to the length of your gown and make walking, dancing much easier. The front of the skirt should brush the top of the toes.